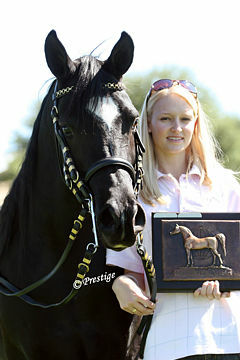 Poland has proudly awarded their 2018 WAHO Trophy to the outstanding show and broodmare, Zagrobla, now aged 24, in recognition of her own achievements throughout her life, and of the achievements of her wonderful offspring. 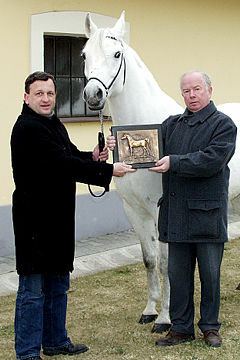 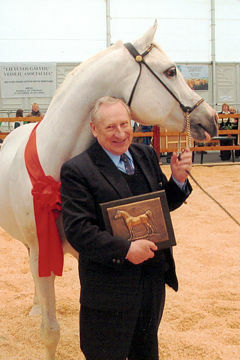 Bred by the late Director Ignacy Jaworowski when he was Director of the Stud, she has truly become one of the golden treasures of Michałów Stud. 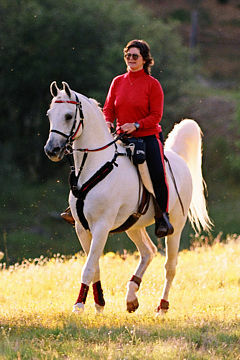 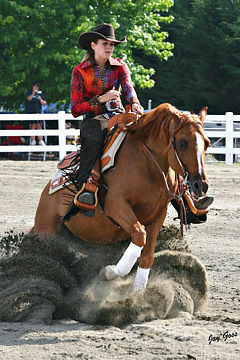 Among her many national and international show titles she reached the pinnacle of success with her Gold Champion titles at the Nations Cup in Aachen, the World Championships in Paris, and the US National Championships in USA. 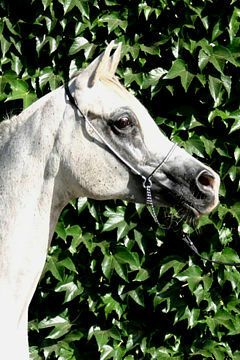 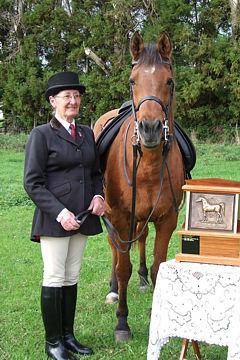 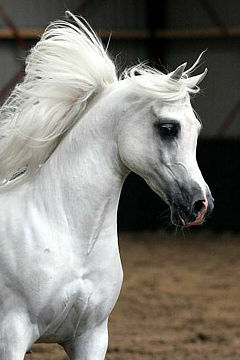 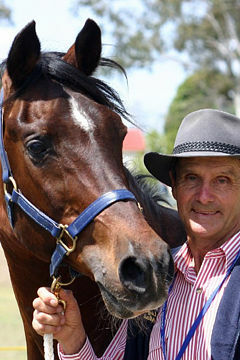 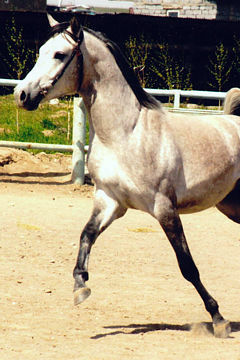 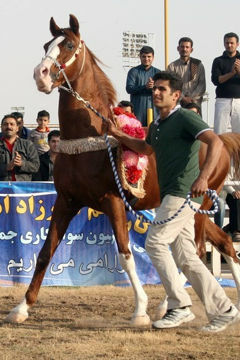 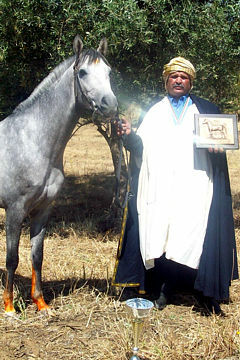 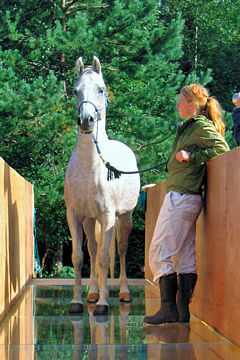 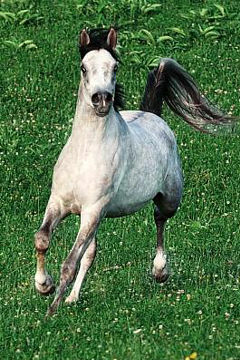 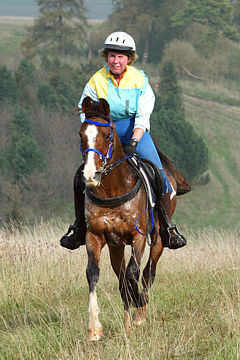 As a broodmare, Zagroba has founded a great dynasty through her offspring and their many descendants. 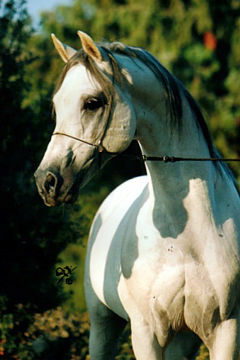 There is only room here to mention just a few of her best progeny from more than a dozen offspring. 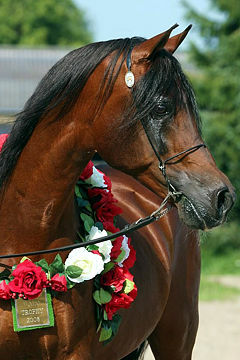 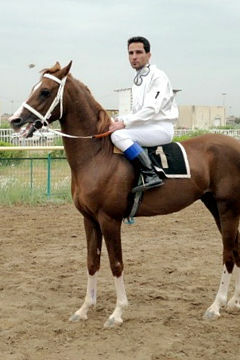 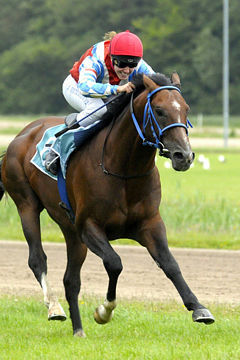 Among Zagrobla’s best sons is the great moving stallion ZIGI ZAN (2005, by Padrons Psyche), now a Chief sire at Sinus Arabian Stud in Sweden. 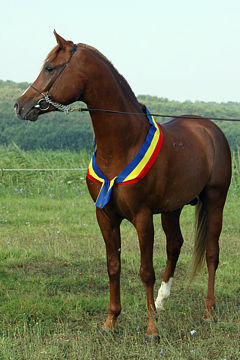 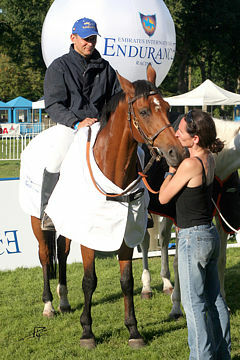 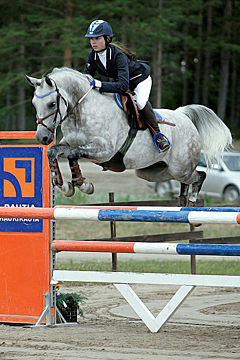 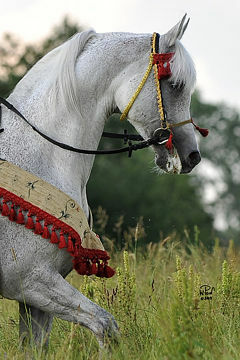 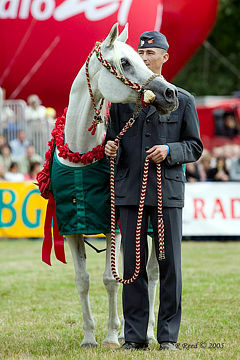 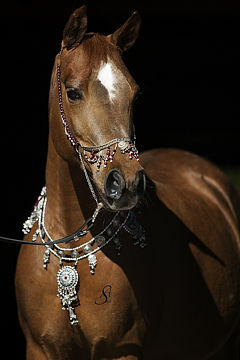 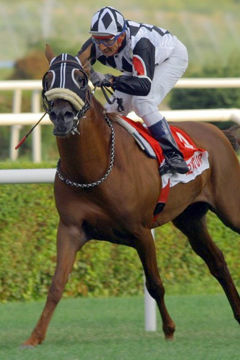 Considered among her best daughters is her first foal, the mare ZŁOTA ORDA (1999, by Pesal) herself the dam of, among others, the successful show and broodmare ZŁOTA NIC (2005, by Emigrant), and the Michałów chief sire, ZŁOTY MEDAL (2012, by QR Marc). 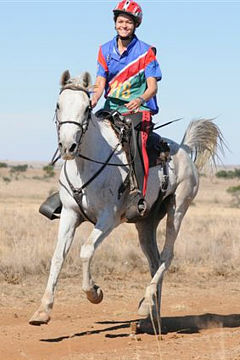 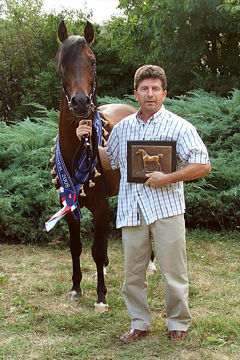 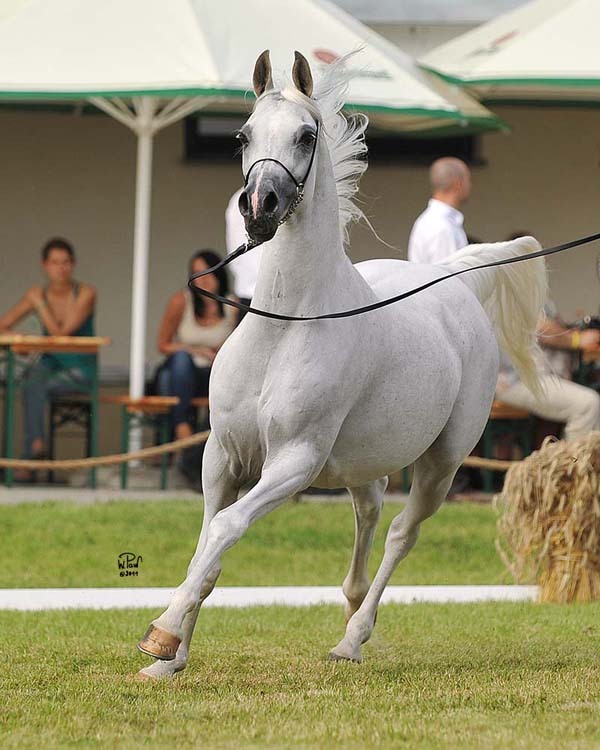 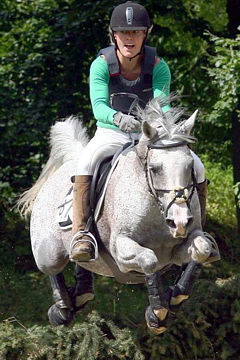 Another successful Zagrobla daughter is the mare ZIGI ZANA (2009, by QR Marc), who has won many show titles including 2010 Polish National Junior Champion Mare, 2010 & 2011 European Junior Reserve Champion Mare, and 2013 Polish National Senior Reserve Champion Mare.